Terry started his racing career in 1965 as a drag racer. After winning the 1968 Drag City 1/4-mile championship he turned his focus to circle tracks and stock car racing. 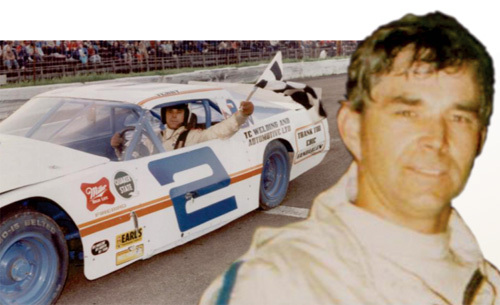 He made quick headlines as the winner of the Halifax Dartmouth International Speedway sportsman championship in 1970. In 1977 he tried road racing and won the Honda Series championship at the AMP Road Course in Shubenacadie. In 1983 he joined the then newly founded MASCAR Tour and went on to become a four-time champion. He won the Moosehead Grand Prix in Halifax in 1993. Besides MASCAR, his touring series stock car racing resume includes multiple starts in both the NASCAR North and ACT series. He was also a top off-road racer in his highly modified 4 x 4. Terry Clattenburg retired from racing in 1997. He was inducted to the Maritime Motorsports Hall of Fame in 2007.